University of Glasgow's Small Animal Hospital has talked about the increased geographical spread of ticks, the emergence of new tick borne diseases and the importance of tick bite prevention. Ticks have never seen so much attention in the Veterinary and consumer media, but what is behind the media noise and how should we be reacting. Specifically in the UK increasing reported cases of tick borne diseases (TBD) have driven the media agenda but also in the Veterinary profession reports of expansion of the distribution of ticks already endogenous to the UK have also been frequent. As a result, more than ever before, we are reminded of the importance of parasite prevention, particularly tick prophylaxis, to reduce the threat of TBD. 2) Climate change, which may increase the density of vectors in an area or cause them to drift northwards. 5) The move in 2012 to encourage harmonisation within the EU regarding pet travel rules. 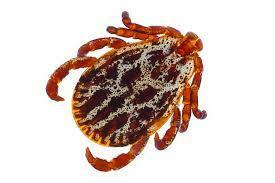 This removed the need for compulsory tick treatment for travelling pets returning to the uk. The Vector for Lyme disease and the tick Dermacentor reticulatus (D. reticulatus is a vector of various diseases, including Babesia canis, Francisella tularensis, Coxiella burnetti, Theileria equi and several Rickettsia species, such as Rickettsia slovaca. Public health England has reported two cases of infestations with this Brown Dog Tick in residential properties in the UK (Leicestershire and Essex). 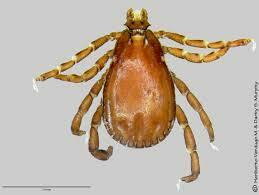 In these cases the ticks were originally thought to have been introduced into the households by dogs imported from Mediterranean Europe, however infestations became established and were able to survive the winter. The Dermacentor was found in Essex, (infecting 2 dogs with no travel history yet taken from the dog's skin), also in West Wales, Devon and a fatal case in Kent. Previously it was thought that ticks needed to attach for more than 48 hours to transmit diseases, however, reports now suggest that this might not be the case. Ticks carrying Ehrlichia canis have been shown to infect dogs in as little as 3 hours after attachment, therefore remove ticks as soon as they are observed and, if possible, within 24 hours. 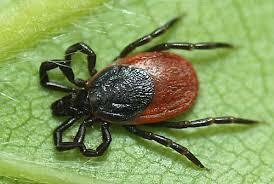 It is ideal to use precautions to avoid the tick from biting the animal in the first instance. During feeding ticks inject a small amount of saliva into the skin and pets become sensitised and allergic to this resulting in stress and, possibly, other dermatological conditions. Historically we have been educated about a particular tick season, around March to November and increasing the Summer months, but now tick infestations are lasting all year round due to milder weather and especially the Deer tick which is active year round.